A couple of weeks ago, I had a really bad week. I mean really bad. One of those weeks where you wonder why you’re slogging away at what you do and where Friday can’t come soon enough. 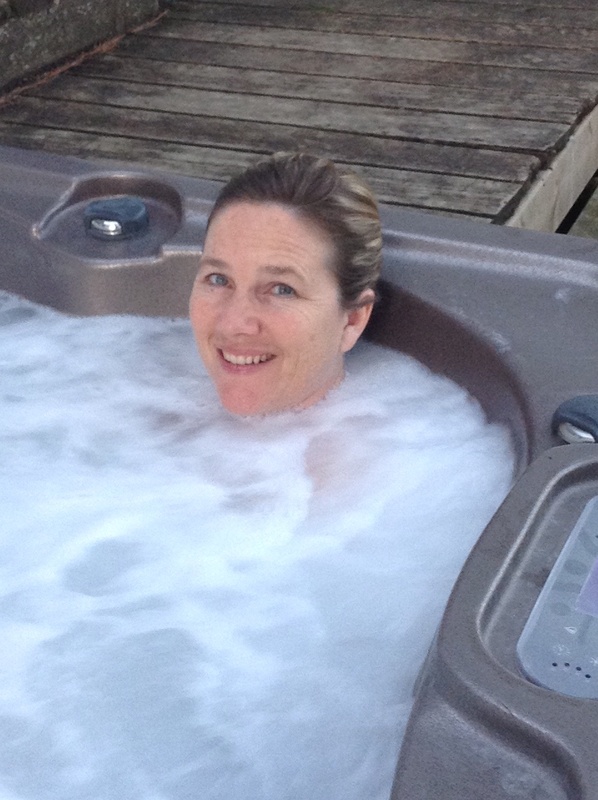 On those weeks, I turn to the love of my life for comfort, solace and rejuvenation: I turn to my hot tub. I love my hot tub. Yeah, yeah, I know. I’m the happy act blogger. I write about what’s really important, like the people in your life, precious moments, having purpose and being confident in who you are. I know I’m not supposed to love material things. I believe there is an exception to every rule, and my exception is my hot tub. I love that moment when I slip into my hot tub, and the steamy water sends tingling sensations through my spine. I sink deeper and deeper into the hot bubbling water until I can feel the jets pounding on my back, working their magic as they massage my tired limbs. I close my eyes, and become lulled by the tones of the water: the high-pitched hissing of the bubbles on the surface, the alto sounds of the gurgling jets and the rumbling of the water pounding below the surface. Yes, just when I think I can’t love my hot tub any more, we take our relationship to a whole new level. This week’s #HappyAct is to soak out the stress and get yourself in some hot water. If you don’t have a hot tub, try a long hot bath, or why not treat yourself to a day spa, like the Nordic Spa outside of Ottawa? I’ve heard people say it’s wonderful.